28.08.2014. Legend has it that 8,000 years ago wine was first invented in the small country of Georgia. 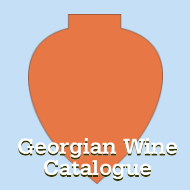 Today, wine remains an important part of both the Georgian economy, and the Caucasus nation's sense of identity, with thousands of winemakers together typically producing more than 100 million bottles per year. Back on 27 June, many corks were popped for a celebratory drink when crowds of people took to the streets of the capital Tbilisi to celebrate Georgia signing a free trade agreement with the European Union. The deal means that from 1 September, Georgian produce and products which meet EU standards will no longer be liable for tariffs when imported by EU member states. For Georgia's winemakers, predominantly family-run businesses, their wines should become more widely available in Europe - and at slightly reduced prices. "It means that we will be on equal level with other competitors," says Irakli Cholobargia, head of marketing for the Georgian government's National Wine Agency (NWA). The NWA calculates that EU importers of its wine had to pay a total 367,823 euros ($488,109; £294,421) in tariffs last year, which will soon be removed. 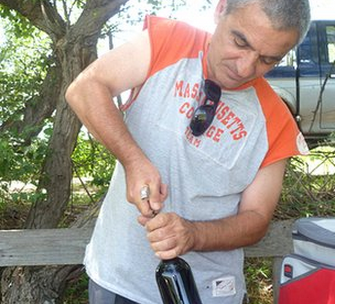 Malkhaz Jakeli, who runs the Jakeli winery in Georgia's Kakheti region, says that thanks to the free trade agreement he expects to boost exports to the EU. "I think it will be easier for importers in the EU [without the tariffs]," he says. He also says that increased sales to the EU will inevitably boost the quality of Georgian wine, as winemakers have to compete more with producers from other countries. For Georgia's wine producers, the opening up of the EU market will also give them a stronger insurance policy against any future problems with their largest export market - Russia. Russia has traditionally always been the biggest buyer of Georgian wine, but exports stopped overnight in back in 2006 when Moscow introduced a ban. The Kremlin said the embargo on Georgian wine was due to quality concerns, but it was widely seen as a political move, as a means for punishing the then Georgian government for making overtures to join Nato. Matters were not helped - to say the least - two years later when Georgia and Russia fought a short war after Georgian troops invaded the Russian-backed breakaway region of South Ossetia. Russian imports of Georgian wine did not eventually resume until 2013, seven years after the ban started. While Russia is now once again importing Georgian wine in vast quantities - 17 million bottles in the first six months of this year, 66% of total exports during the period - Georgia wants to build up other markets. For although there is now hesitant consensus that Georgia is unlikely to see any immediate backlash from Russia for signing the EU free trade agreement, some Georgians remain concerned that Russian barriers could go up again in the future. NWA chairman Levan Davitashvili says: "We want to diversify our market structure. We have to be less dependent on Russia." 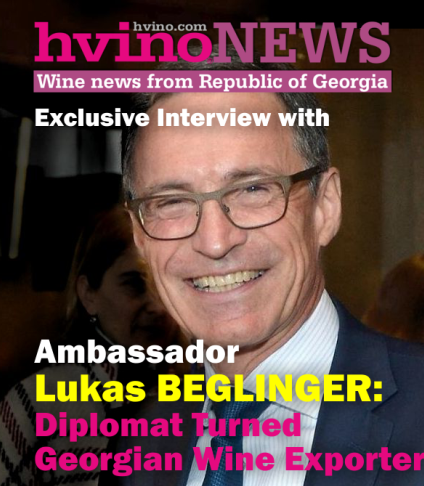 The biggest EU importers of Georgian wine are Poland and the Baltic states, and those countries are where Mr Davitashvili is hopeful of seeing a big rise in sales. By contrast, he does not expect to see increased penetration in western Europe, because he says "the space is already occupied" by wine produced within the EU. 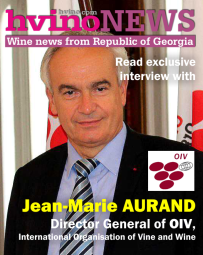 However, Eric Livny, an economist at Tbilisi State University, says most Georgian wine producers will continue to focus on Russia, because of the enduring popularity of Georgian wine among Russian consumers. 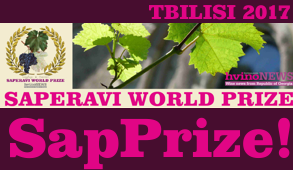 "Georgian wine exports go to Russia with very little effort... simply because Georgia has an established brand in Russia. In Europe it's an uphill battle." In the wider agricultural sector, which accounts for half of Georgia's labour market, and is again dominated by family run farms, there are both hopes and concerns about the implications of the EU deal. 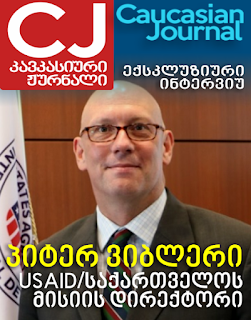 Nino Zambakhidze, chairman of the Georgian Farmers Association, a group of 900 farmers from across the country, says some members are concerned about the costs of getting the internationally-recognised quality certification which is required before they can start exporting to the EU. Yet she says the advantages far outweigh the disadvantages. 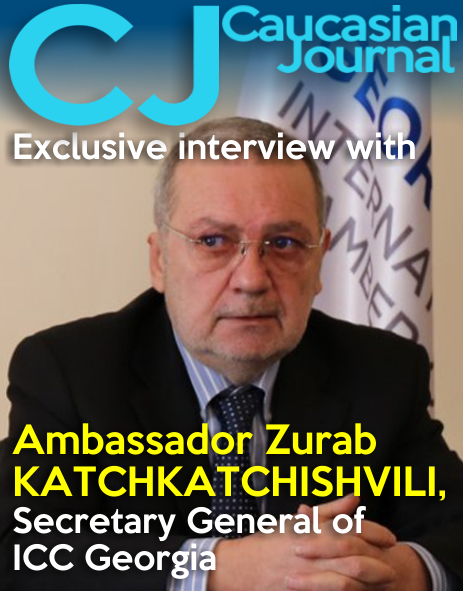 "If we deliver proper information and messages to the farmers, and at the same time, if a lot of business-orientated people move to rural regions in order to make businesses and work with farmers, it's going to give us the opportunity to enter the EU market without any problem," says Ms Zambakhidze. Georgia has for a number of years wished for closer ties with the European Union. "The most important thing we'll get from the EU is their education, and the new technologies that the EU uses with their farmers." Ms Zambakhidze is herself also hoping to start exporting to the EU from next year in her day job as co-owner of the Tsnisi Dairy Plant, near the city of Akhaltsikhe. The dairy currently produces 500kg (1,100lb) of Georgian cheese per day. Another Georgian small businessman with his eyes firmly on exports to the EU is Irakli Partsvania, who is planting what he says will be Europe's largest blueberry farm. Mr Partsvania currently has 70 hectares (172 acres) of blueberries, but is in the process of adding a further 450. "Georgia is a very small market, so from the start we were talking and thinking about the supply of the European and American markets," he says. So far Mr Partsvania has already harvested one crop of blueberries, of which he exported 10% of the 75 tonnes to the EU, including two tonnes which went to the UK. With tariffs about to be removed, he plans to substantially increase what he sends to the EU.